I made myself soooooo mad this week by being an absolute dumbarse. Now I must share this frustration with you. I got a good couple of lines of poetry stuck in my brain one night and saved it in the notes on my phone so that I wouldn't forget. So far, so good. At work the next day, there was a bit of idle time between calls so I thought I'd have a crack at making something from the two lines I'd thought of. Now, for some dumb reason Google Docs, Drive and Gmail got blocked at my work a couple of months back even though all the contractors like me have a work email THROUGH GMAIL. Anyway, I'm used to using Google Docs if I'm writing in a browser, but I had to find something else to use since it was blocked at work. I ended up settling on Calmly Writer, which I kinda love. Without saving the damn poetry. I realised my mistake, but alas, it was too late. This app does not auto-save like Google Docs. My (terrible) poetry was gone. In memory of writing lost, please share your saving failures and tales of writing long gone. I'm trying to get back into reading things. I seem to 'stop reading for a long time' too often, and I really need to cut that out. The book I've finished most recently is actually by someone I went to uni with. Ida is the debut novel of the wonderful Alison Evans, who I initially met in my first year of uni (I believe they were doing Honours at that point) at an open mic reading night and then never saw again ... until later that same year, when we started talking on the NaNoWriMo forums, which lead to messaging each other privately to continue our discussion, not realising that we'd met previously until we'd been talking for a week or two. Ida was a roller-coaster to read. In terms of genre, it is best described as queer sci-fi YA/New Adult. Admittedly, I haven't experienced much queer literature before, and I haven't been a sci-fi reader until recently. So this book was refreshing to say the least. The main character, Ida, has the power to go back in time ... or so she thinks. She uses this power to get herself out of sticky or confronting scenarios, make different choices to achieve different outcomes, and does it almost automatically in certain situations. But she's starting to notice that her powers aren't quite what she thought they were, and she isn't as alone in her abilities as she first believed. But the excessive use of her powers has started having drastic repercussions, and they need to be remedied before it's too late. 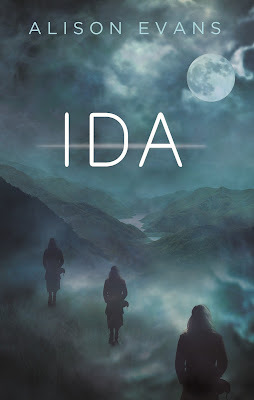 I really loved the way the book was written, especially the description of each time Ida uses her powers. The setting had me smiling to myself the whole time; the book is set in the Dandenong Ranges area, where I love to go for bushwalks in real life. It also includes a trip into Melbourne city and the National Gallery of Victoria. I haven't really read anything set so close to home and the familiarity was really enjoyable the whole way through. It also made me realise that what little reading I do does not include enough books by Australian authors, which is something I want to fix. Something else I really loved about the book was the natural incorporation of diversity. I felt it was a very accurate representation of the Melbourne-diversity that I know and love, especially in terms of race, gender identity and sexuality. I loved that these points of diversity were so masterfully woven into the text, rather than treating it like a big deal that the main character is bisexual or that her love interest is genderqueer. I love that this book wasn't about their diversity. It was about the things going on in the lives of these characters, just like with any other book. I love that Ida normalises that idea and I wish more books did. Ida was a perfect balance of funny, serious, and a little bit scary. Although my favourite quote was about the main character being able to emotionally relate to a lemon, I promise that while it made me laugh, it was also VERY STRESSFUL because I was really worried about the fate of the characters. 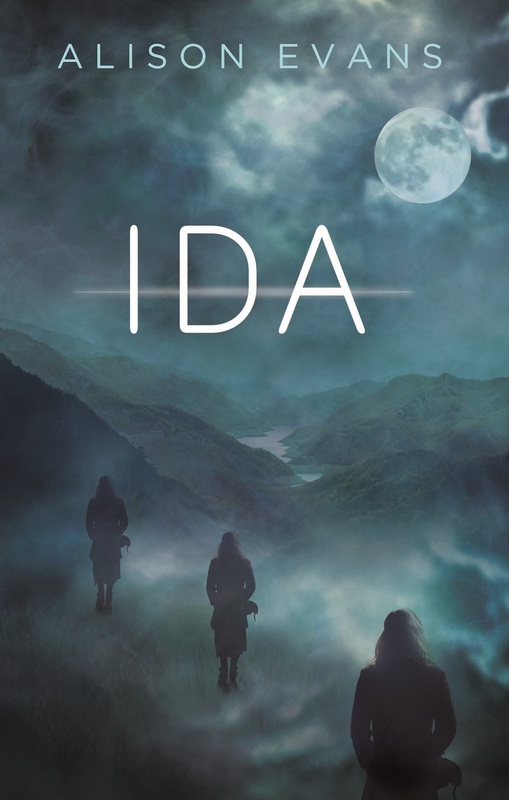 So if you're in the mood for a book by an Australian author, full of suspense, spookiness, and great characters, look for Ida by Alison Evans. That's me for now. What have you been reading lately?